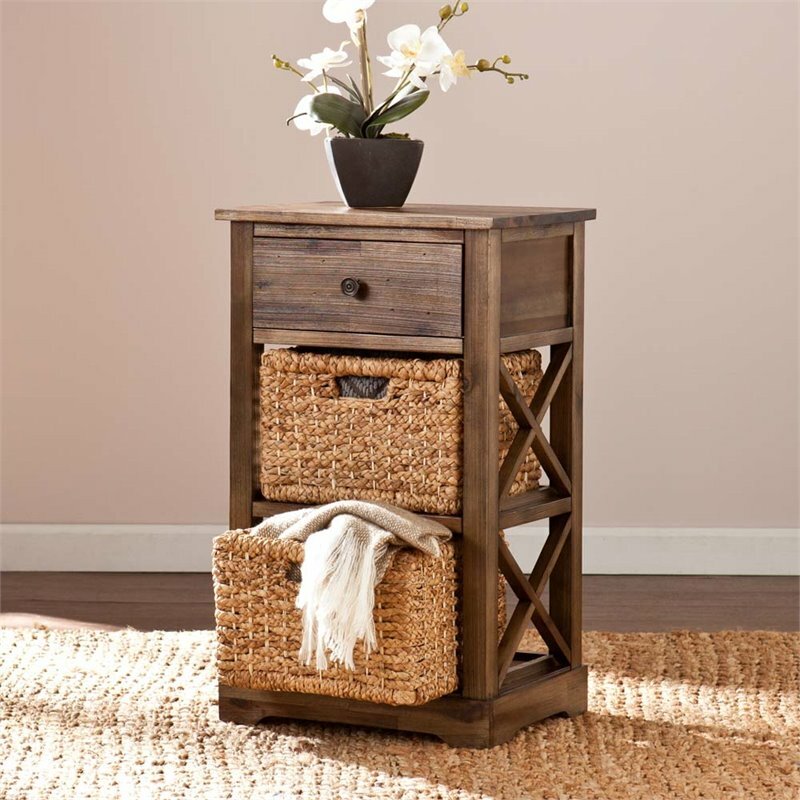 Breathe new life into home organization with this breezy storage shelf. 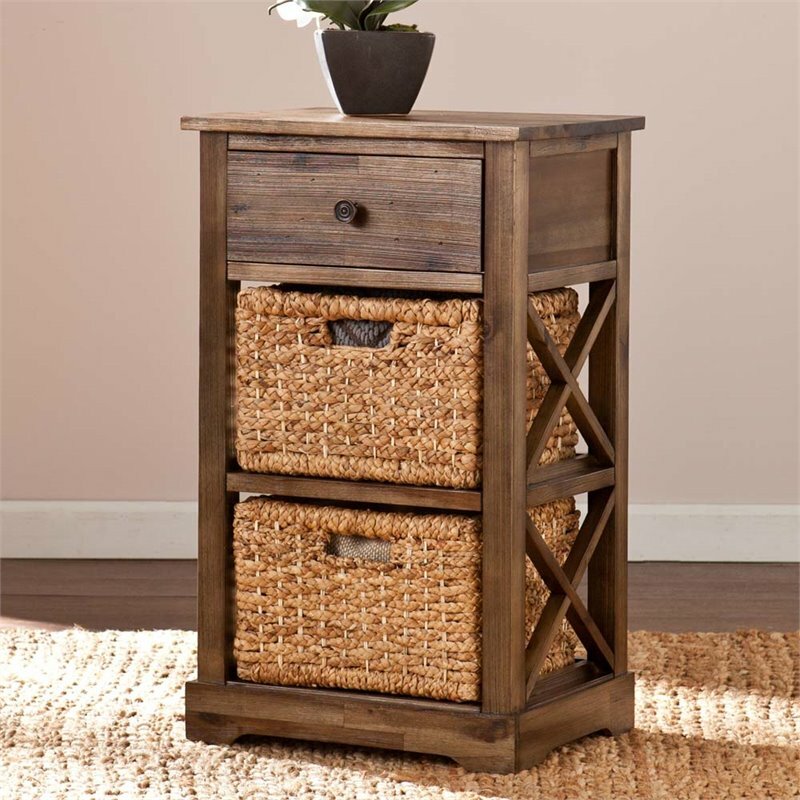 Natural water hyacinth baskets and an antiqued brown frame accentuate beach house elements. 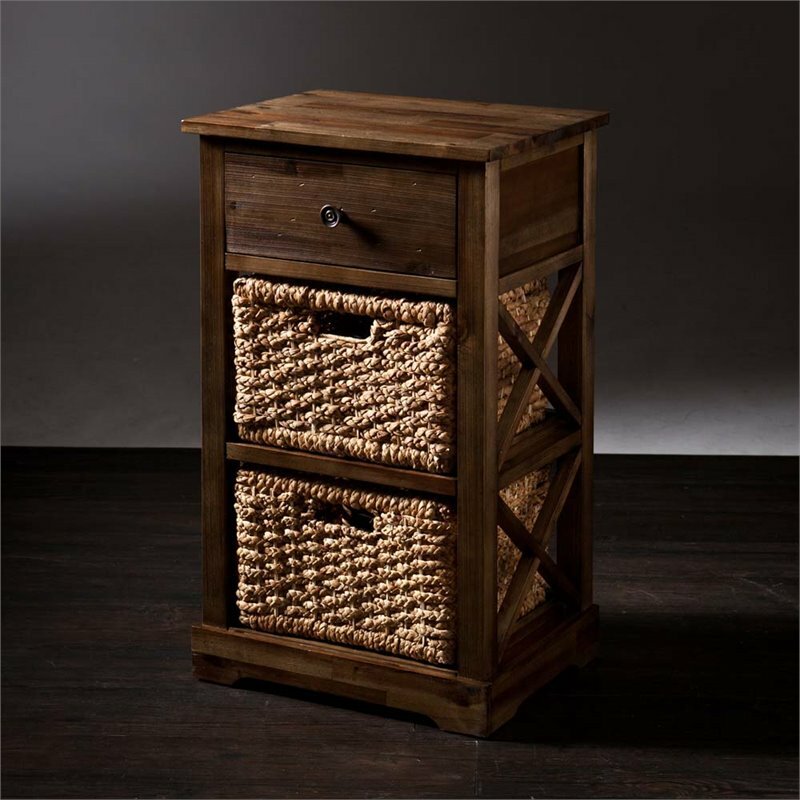 Textured, planked wood features wormhole distressing for a reclaimed look. 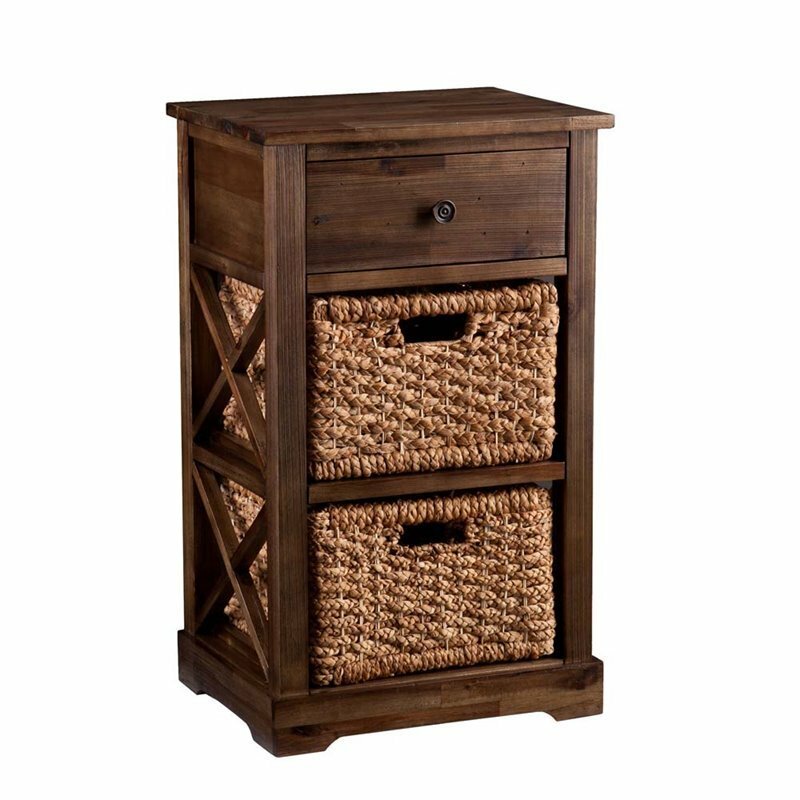 Stacked below a spacious drawer, two removable baskets allow you to carry contents where needed. 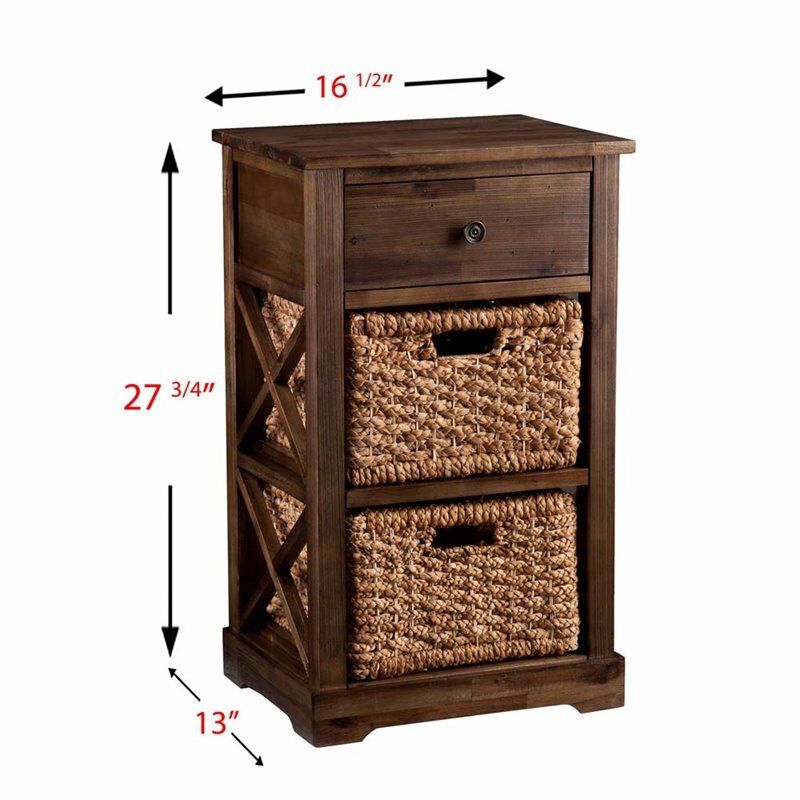 Add this convenient storage solution and coastal character to any room. 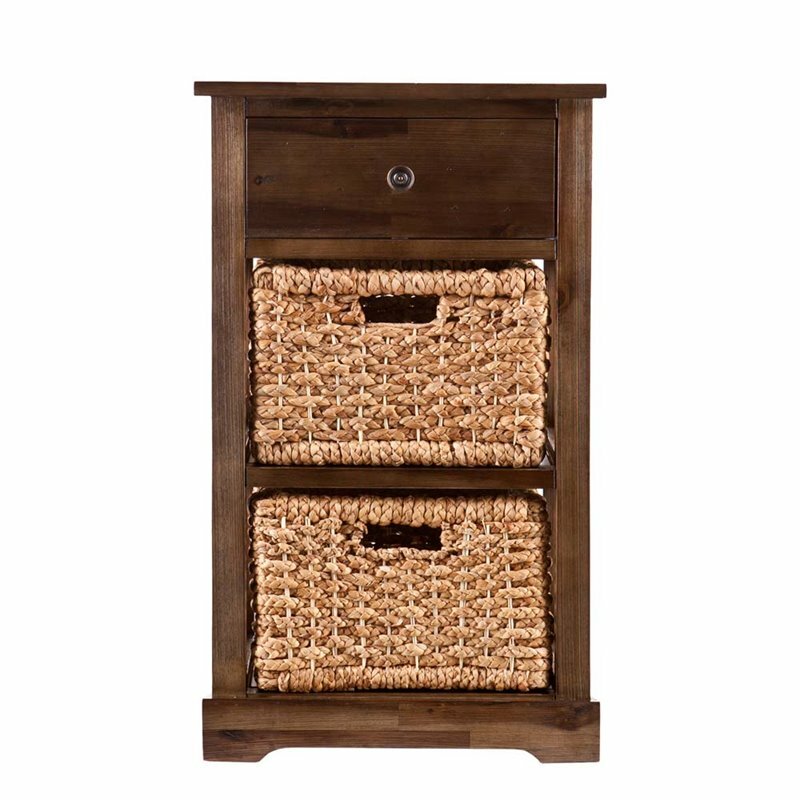 Slight variations in finish and distressing should be expected.